Kefalos. 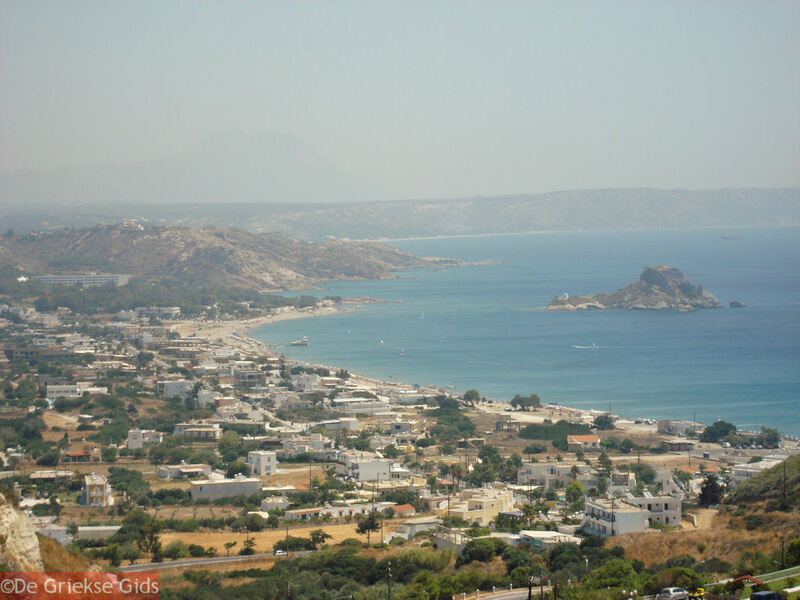 Off the southwestern-most part of the Greek island of Kos is Kefalos Bay, one of the most popular bays for windsurfing enthusiasts. 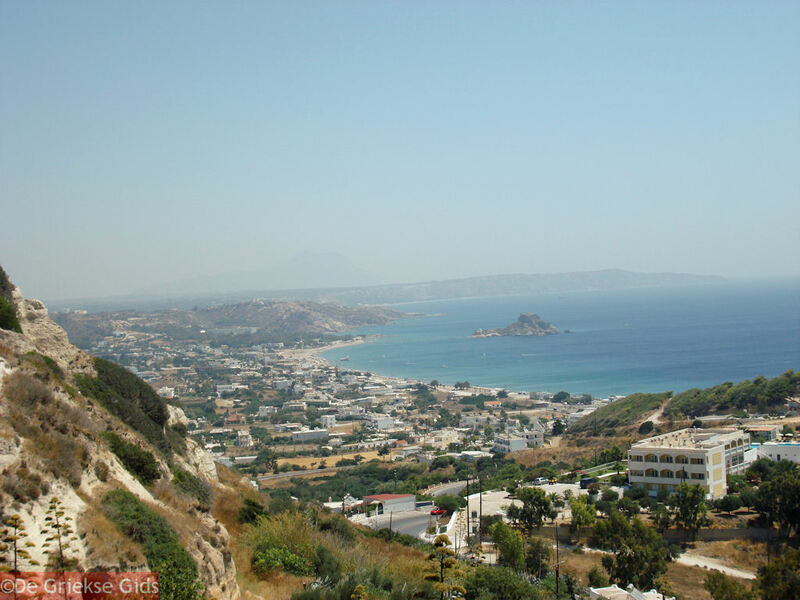 The largest village here is Kefalos, which is located on top of a hill. Kefalos comprises various shops, taverns, terraces, cafeterias and restaurants. The view from Kefalos’ perch is really stunning. 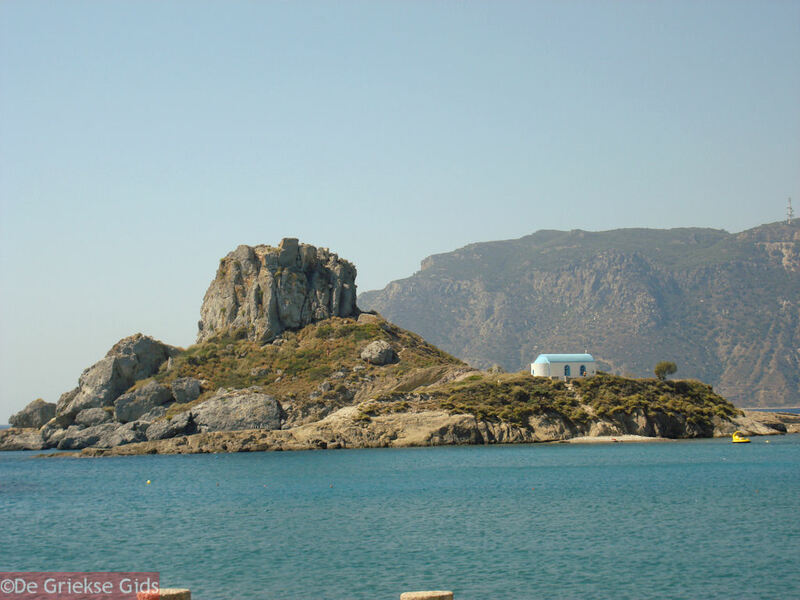 The most striking landmark in Kefalos Bay, is the island of Aghios Nikolaos, which is also called Kastri. 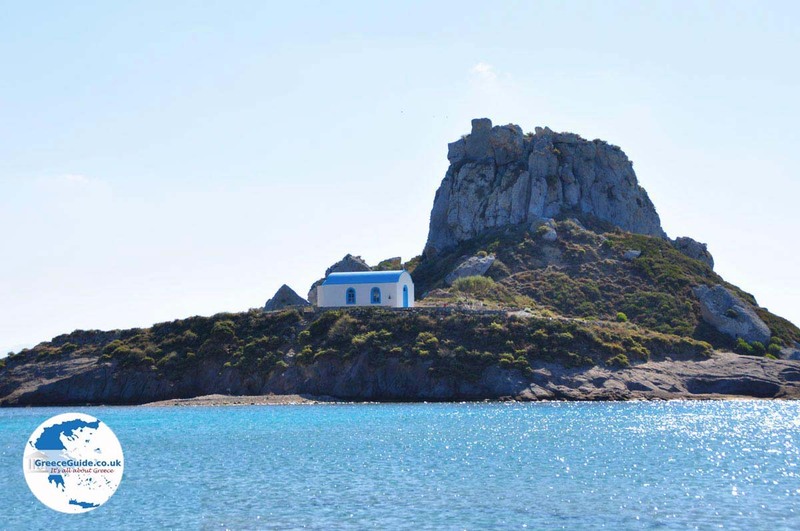 This islet is located right across the beach from Aghios Stefanos. 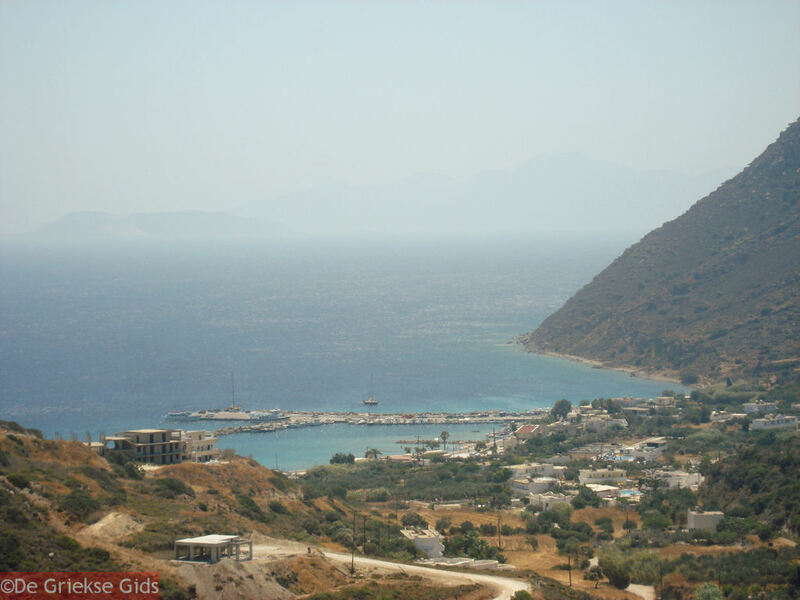 The first village on the Bay of Kefalos is Kamari. Kamari is a fishing port and skilled fishermen provide fresh fish, daily, to the tavernas in the area. Boats make daily trips to the islands of Nisyros and Kalymnos from Kamari. 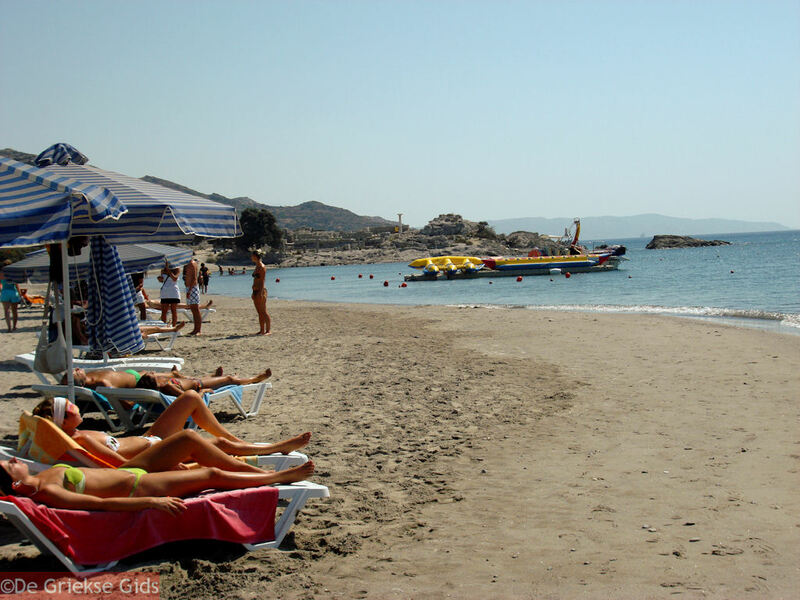 The sandy beaches of Kamari and Aghios Stefanos are gorgeous and there are plenty of water sports available. 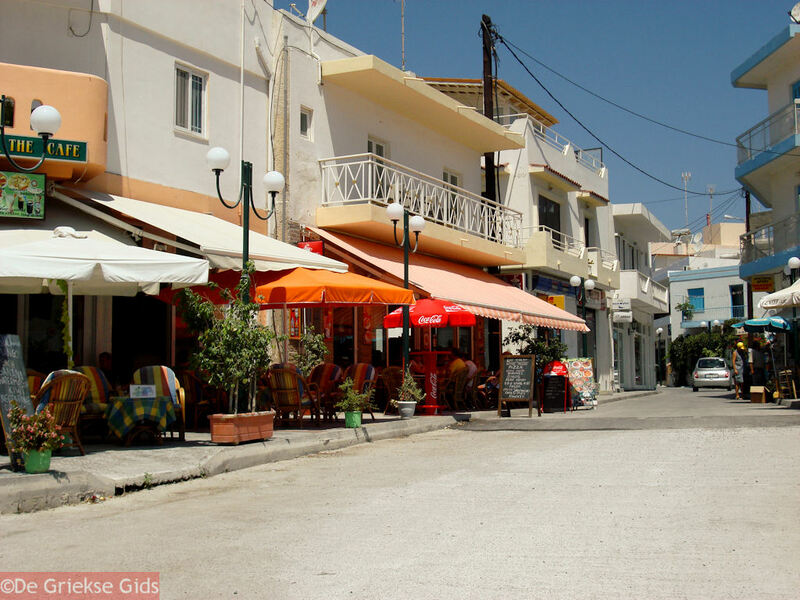 On the main road between Aghios Stefanos and Kefalos you’ll find a variety of supermarkets, car and motorbike rental companies, restaurants, shops and bars. 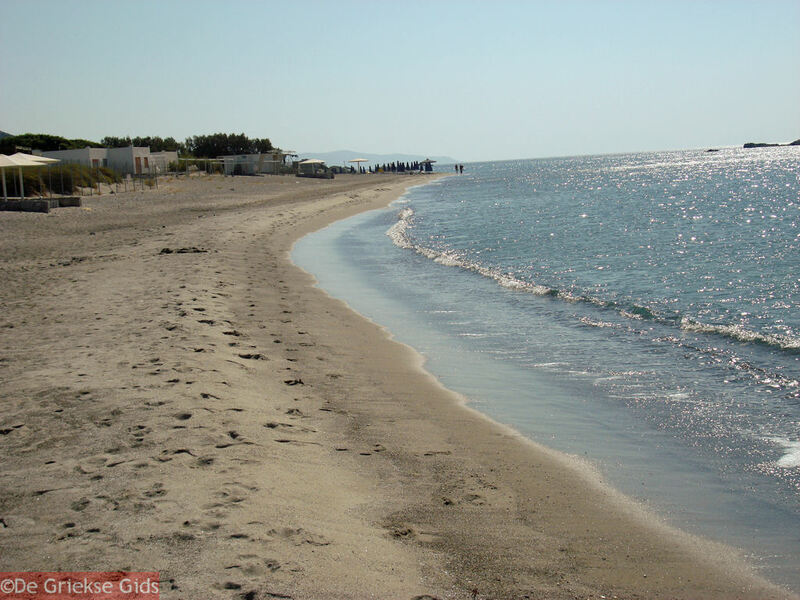 Other beaches near Kefalos and the Kefalos bay are Paradise Beach, Kamila Beach, Golden Beach and all the way to the west coast, the beach of Aghios Theologos. The route to Aghios Theologos runs through a pine forest and is 6 kilometers (a little less than 4 mi) long. 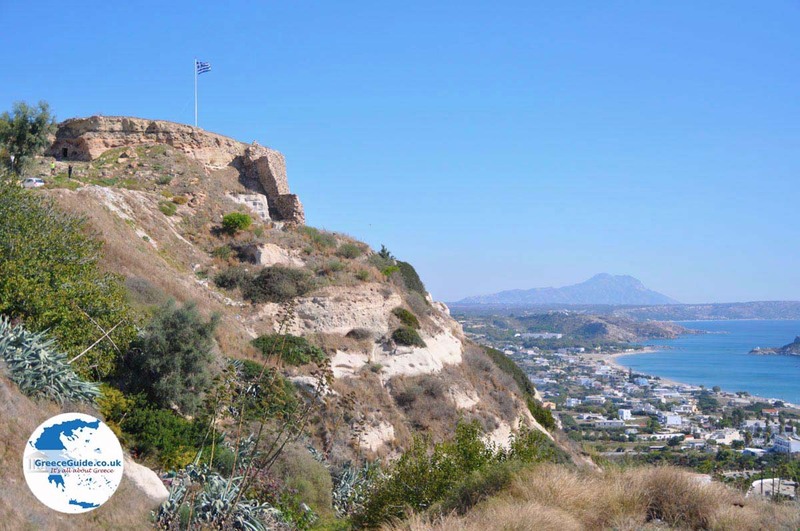 Along this route look for the ruins of an ancient palace and theater of antiquity. 7 kilometers (a little more than 4 mi) south of Kefalos is the monastery of Aghios Ioannis Thimianos with its distinctive clock tower. Every year, on August 29, a large festival is held which draws more than 6,000 visitors. 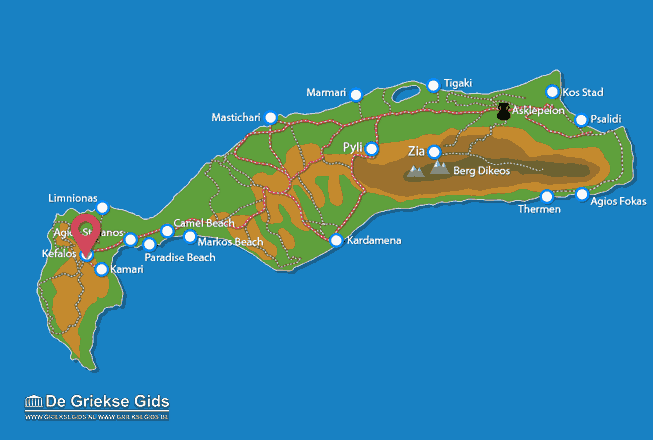 Kos: Where on the map is Kefalos located?